Within walking distance of the Waitomo Glowworm Caves is the Waitomo Caves Hotel, a restored 19th-century hotel with large fireplaces and grand staircases. 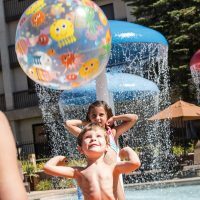 The hotel features complimentary Wi-Fi, free parking, an onsite cafe, hot tubs, and family rooms and family bedrooms. It is also close to outdoor activities like hiking, rafting, horseback riding, museums, and shopping and dining in Waitomo Village. I’ve always wanted to stay here so I finally booked a night for my husbands birthday. She didn’t disappoint. What a beautiful hotel. Old world charm. We stayed in Room 12a a Deluxe King suite. It was extremely spacious and we had balcony access with beautiful views over Waitomo Village. The king bed was luxurious and comfortable. The shower unfortunately didn’t have a lot of pressure and the temperature was hard to get right but hey that’s a minor if you’re only there a night. My love of Victorian era led us here as well as an interest in the paranormal. We didn’t have any encounters personally but the history is fascinating. Rooms 12, 12a and 14 I believe are the most active. I wandered the entire hotel and it’s grounds. It is spectacular. 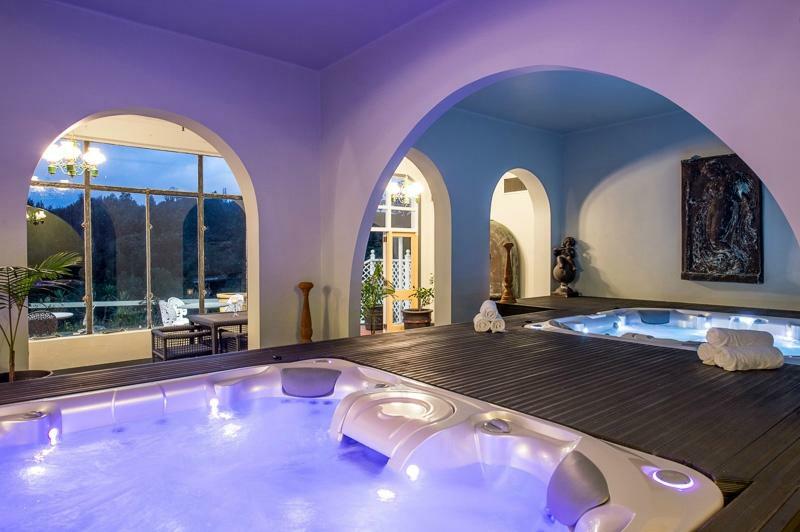 There are two large spa pools which we didn’t get to use but they are bigger than most spas I’ve seen. Now this hotel is old, it is in need of some TLC so if you’re after modern day perfection you won’t get this. I would love the NZ government to make this a historical site and fund to get it renovated, this place deserves it. It needs a good wash and a lick of paint here and there. Next time we stay we are going to do a night in the Turret (not sure of the room number) and a night in Room 5 (with the 4 poster bed). We didn’t eat in the restaurant but will definitely do so next time. The staff were amazing, so friendly and helpful. Absolutely loved it! The Waitomo Caves Hotel has a wonderful position next to the caves, but is seriously in need of an upgrade. It is very shabby. The rooms are no better than 2 star. All that aside, for the convenience, the price and given the lack of alternatives, it was OK for 1 night - the bed was pretty good. The staff were also very friendly and are trying their best with what they have.